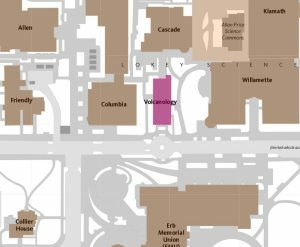 On December 18 from 6:00 pm – 10:00 pm our utility provider EWEB is planning their first tie-in between the new water pipeline and the existing water pipeline on 17th Ave. EWEB has chosen evening hours to minimize impacts to the campus community activities. On July 10, 2018, from 8:00 am – 2:00 pm Esslinger and McArthur Court will temporarily be without domestic hot and cold water while CPFM Facilities Services Plumbers repair leaks on the domestic cold water main line. This will impact all plumbing fixtures throughout the buildings including drinking fountains and restrooms. For questions or concerns please contact Facilities Services Plumber Ron Warren at 541-515-4728 or CPFM Work Control Center at 541-346-2319. UPDATE: Water has been restored. As part of a renovation in the Volcanology building, rooms 120 and 225, domestic water will be shut down in the building on Wednesday, April 18 from 8:00 am-10:00 am. As a result, bathrooms and drinking fountains will be inoperable during the shut-down. 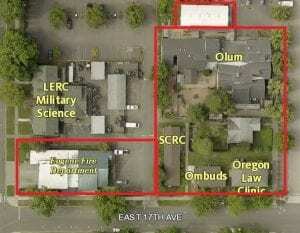 For questions or concerns about this project or outage, contact Owner’s Representative, Colin Brennan with CPFM Design and Construction at (541) 346-8242. This notice was sent to all building users in Columbia Hall, Pacific Hall, Outlook list FS Memo. 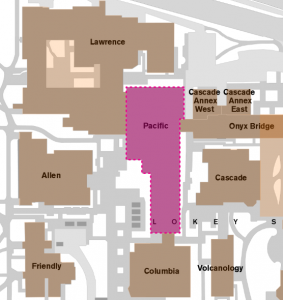 Due to the Pacific Hall B-2 Renovations all domestic water and lab water within Pacific Hall and Columbia Hall will be temporarily shut down on April 28, 2018 from 5:00 am – 6:00 pm. This is necessary while contractors work on the building water supply in the sub-basement. This will not impact RO Water. On Monday, January 15, 2018, from 6:00 am – 2:00 pm The new water distribution system in Klamath Hall will be undergoing chlorination for the domestic system. Users in the building will not be able to use and domestic fixtures including toilets, urinals, bathroom, lab and break room sinks, eyewash stations, safety showers. 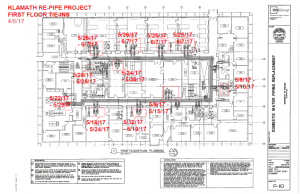 This chlorination will affect the entire building from basement to the third floor. 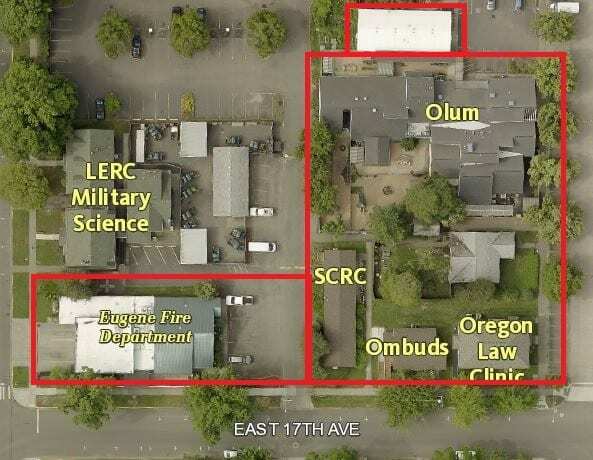 Due to the EWEB waterline replacement project on 15th avenue, the water will be shut off to both LLC and Bowerman from 9 a.m. to 5 p.m. on Thursday, 12/21/17 to connect the building water for these two buildings to the new water main in 15th. Domestic water from the fire line will be shut off in Bowerman ONLY, thus UO Fire Protection will provide fire watch or monitors. 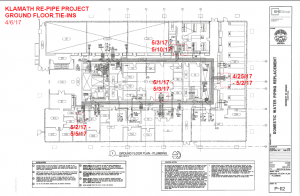 Please reference the below updates from Jana Gerow CPFM Design and Construction Owners Representative 541-346-8317. EWEB will be replacing the main water line under 15 Ave between Agate Ave and University Street from Agate to just east of the Recreation Center starting December 11, 2017, Sunday, December 10, 2017, thru January 2, 2018. 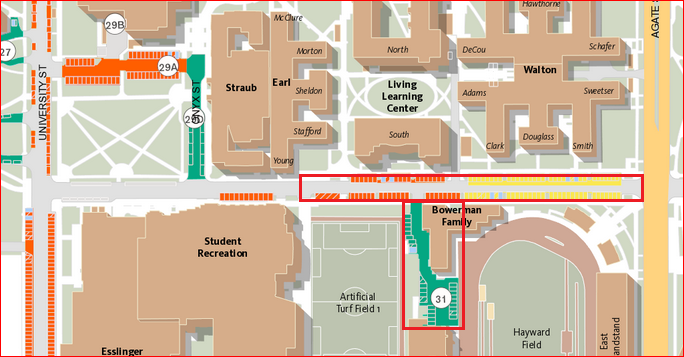 The roadway will be closed during this time to traffic as well as the Bowerman Parking Lot #31. Work will be done from 8:00 am -5:00 pm weekdays, however, the roadway and lot will remain closed during off hours. There will be an additional notice sent regarding a water shutdown for one day (likely between December 25 & Dec 31, 2017 ) that will impact LLC and Walton Bowerman. EWEB will be providing the standard 48-hour notice and information about the water shutdown will be communicated as it is received. NOTE: Water will NOT be shut off to Walton during this project. For questions, please contact Jana Gerow CPFM Design and Construction Owners Representative 541-346-8317. 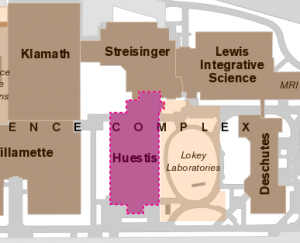 On the morning of Thursday, December 14, 2017, at 4:00 am until 8:00 am, the domestic water system will be temporarily turned off in Huestis Hall to tie-in the 2nd-floor construction project. Additionally, the heat will be turned off from 9:00 am to 11:00 am. The heat is being scheduled later in the morning to reduce the temperature change in the building and keep the heat on during the coldest hours of the day. 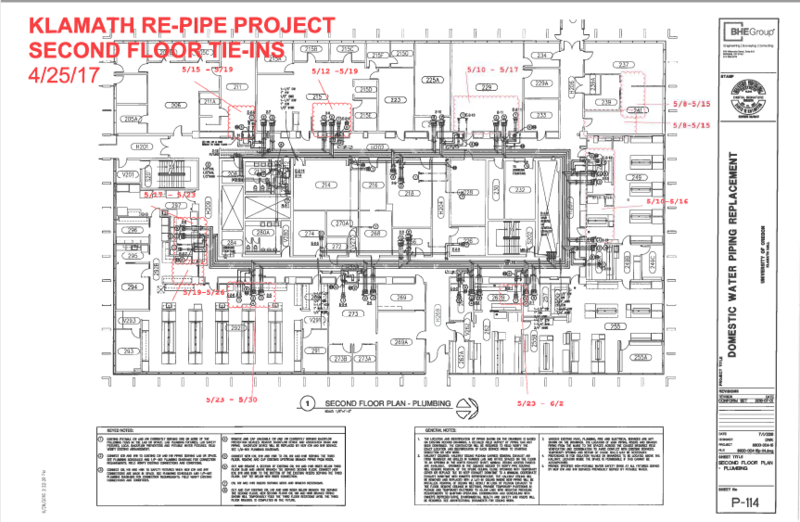 Work will be performed by Alliant Systems. It is essential we follow this time parameter limitation. If any unforeseen problems with the tie-in occur with the water or heat, the completion will be done the following morning from 4 am to 8 am. If there is a change to the schedule, another notification will be sent out. For questions or concerns about how this may impact your area, contact Colin Brennan, Campus Planning and Facilities Management (CPFM) Design and Construction at 346-8242. Due to repairs associated with the sewer line the water will be shut down that services the north side of the Knight Library on Tuesday, October 31, 2017. Crews anticipate this will impact SCUA restrooms, sinks and water fountains. This should only be a four-hour closure and services will be restored by the end of the day. For questions or concerns please contact CPFM Facilities Services Zone A Maintenance Manager Jim Cody at 541-346-2302. Fortis Construction has scheduled an early morning domestic water shutdown on Thursday, November 2, 2017, from 4:00 am -7:00 am that will affect the west side of Oregon Hall. This shutdown will allow Fortis to install new valves to support work on the 1st floor. Hot and cold domestic water to the west side restrooms (241, 243, 341, 343) and break room sinks (245, 333) will be off during this early morning shutdown. For questions or concerns related to this activity contact CPFM Design and Construction Owners Representative Patrick Mucker 541-346-8216. The old water distribution system has been shut down. The building is now served by the new water distribution system. If you experience any issues with; water loss, no hot water, no cold water, low flow or any other domestic water issue please contact CPFM at csc@uoregon.edu or 541-346-2319. Please note this work has not affected the RO water system. Due to urgent repairs on the main water line feeding the Computing Center the potable water will be shut off from 8:00 AM to 12:00 PM on Saturday, October 21, 2017. This will impact restrooms and sinks building-wide. CPFM Facilities Zone D Maintenance Manager Kevin Farthing reached out to Shawna Gilbert and the Computing Centers earlier today regarding this time-sensitive repair. For questions or concerns contact Kevin directly at 541-346-2857. On Thursday, October 12th from 9:00 am until 1:00 pm, EWEB will be shutting off the water to Berwick Hall to perform work on their side of the meter. This will affect fire suppression, restrooms, and potable water. 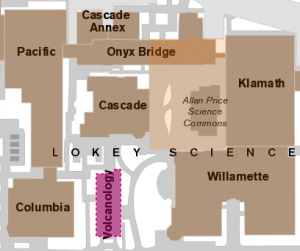 On Friday, September 22 starting at 4:00 pm through 8:00 pm on Saturday, September 23, 2017, steam will be temporarily shut down impacting services to Pacific, Columbia, Volcanology, and Cascade. On Saturday, September 23, 2017 the city water services and service air will be temporarily shut down to facilitate the steam work. All utilities will be back on by 8:00 pm Saturday, September 23, 2017. This is necessary as part of the ongoing Steam Tunnel Project. 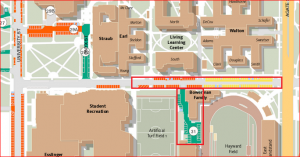 Utilities and Energy will be replacing a failing 16” expansion joint in the campus tunnel system. For questions or concerns about how this may impact your building services, please contact CPFM Utilities and Energy Supervisor Mo Soleimani at 541-346-2213 or CPFM Zone B Maintenance Manager Bruce Budzik at 541-346-8834. 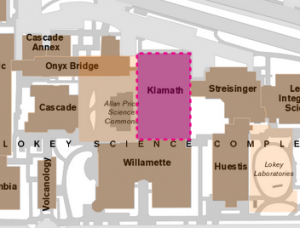 On Friday, August 25, 2017, from 4:00 am – 8:00 am Andersen Construction will be temporarily turning the water off in Klamath Hall that services the 2nd and 3rd floors. 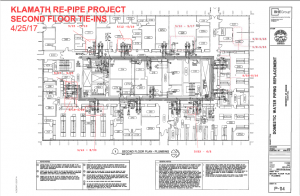 Water will be turned off on the 2nd floor at the North end of the corridor which will also affect the third floor. If you have any questions, concerns or notice unidentified building smells please contact Joe Hubbard with Andersen Construction at 541-514-5794 after hours. Today, July 3rd from 1:40 pm to 3:30 pm, we have an emergency shutdown of industrial cold water and domestic cold water. This will affect lab sinks, toilets, and urinals. Work is being performed by CPFM’s Facilities Services. Andersen Construction will be shutting down water to the 3rd floor ONLY of Klamath. No one on the 3rd floor will have domestic or industrial hot and cold water supply Saturday, June 24, 6:00 a.m. through Sunday, June 25 at 3:30 p.m.
For questions regarding this shutdown contact Jana Gerow 541-346-8317. 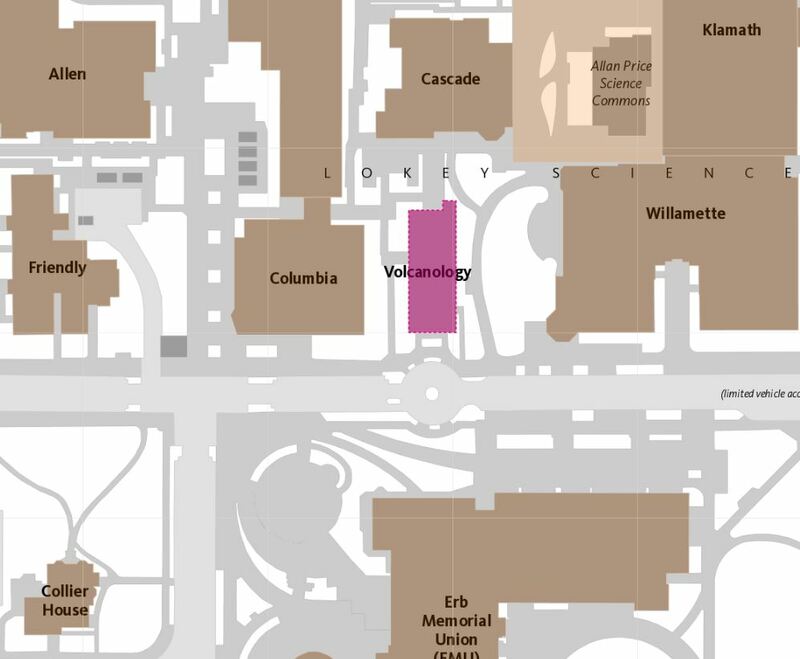 Due to the recent discovery of yellow discolored water in Volcanology, Facility Services and EHS recommend not to drink the water in this building until it can be tested. Signs are being posted at the drinking fountains. 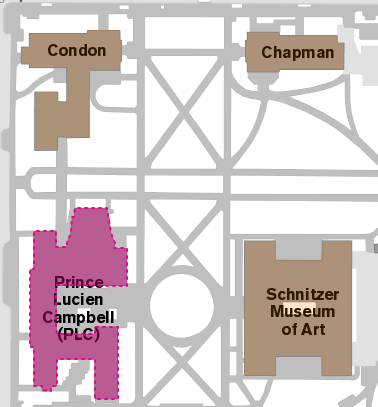 On Thursday, June 22nd, from 7:30 am until 12:00 pm noon, water will be shut off for the entire building of Prince Lucien Campbell (PLC). The shutoff valve that feeds the outside irrigation system will be replaced. This will affect drinking water, restrooms, and outside irrigation. Due to emergency repairs associated with a plumbing leak, Huestis will be temporarily without domestic cold water. Crews hope to have repairs completed by the end of the day today May 18. For questions regarding this notice contact Kevin Bloom at 541-346- 2304 or Customer Service 541-346-2319. 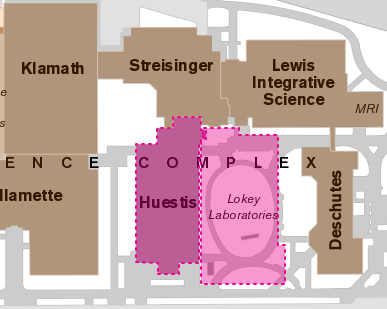 Industrial hot and cold water plus domestic hot and cold water will also be off during this shutdown in Lokey Labs. Process cooling water and RO water will be unaffected. This was a recent discovery today as a result of an emergency shut down. On Saturday, May 20th, from 8:00 am until 4:00 pm, cold and hot water will be shut down for the entire building of Huestis. Domestic cold and hot water plus Industrial cold and hot water will be turned off. This will affect sinks and restroom water during this time. Work will be performed by CPFM’s Facilities Services and Alliant Systems. Thank you all for your continued patience and support for this project. 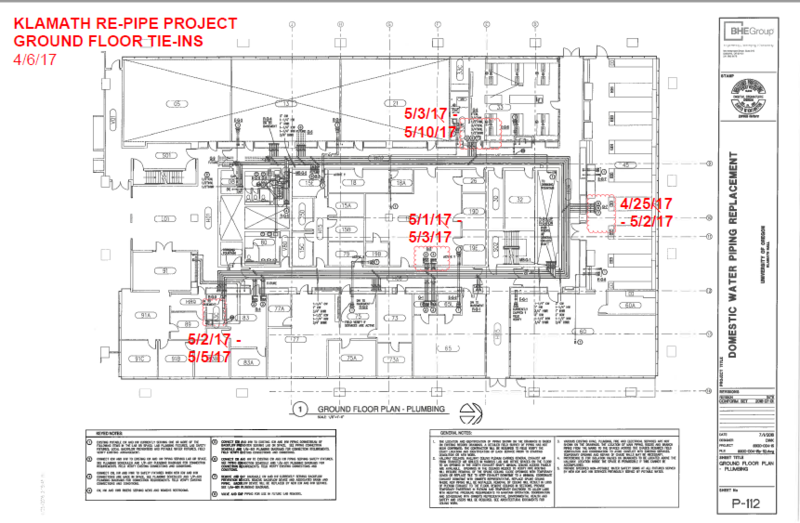 This week Andersen Construction has been working on tying in water in individual labs per the previously sent schedule for the Ground floor. 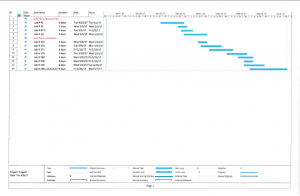 Below is the schedule which was sent out 04/19/2017 and includes both Ground floor and the next few weeks tie-ins which are on the 1st floor. 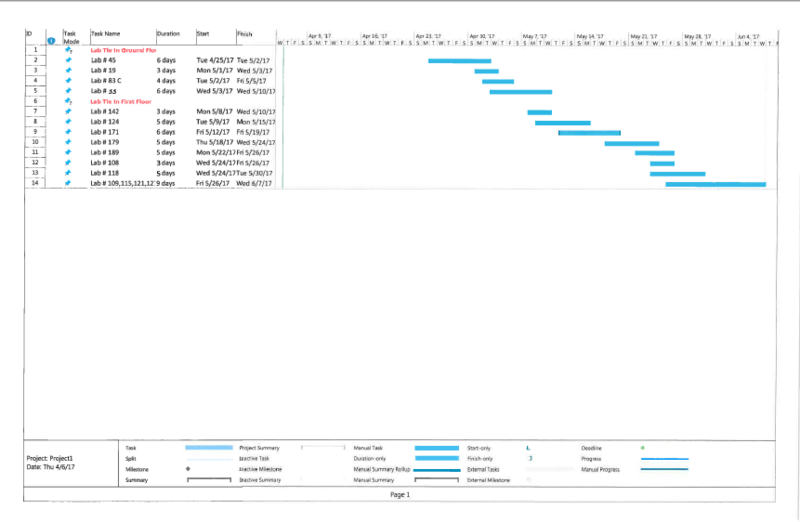 Also shown below is the schedule for the following weeks after that, when we will work on the 2nd floor. The maps have our proposed dates and we just need you to contact Joe Hubbard if you need them to move slightly. 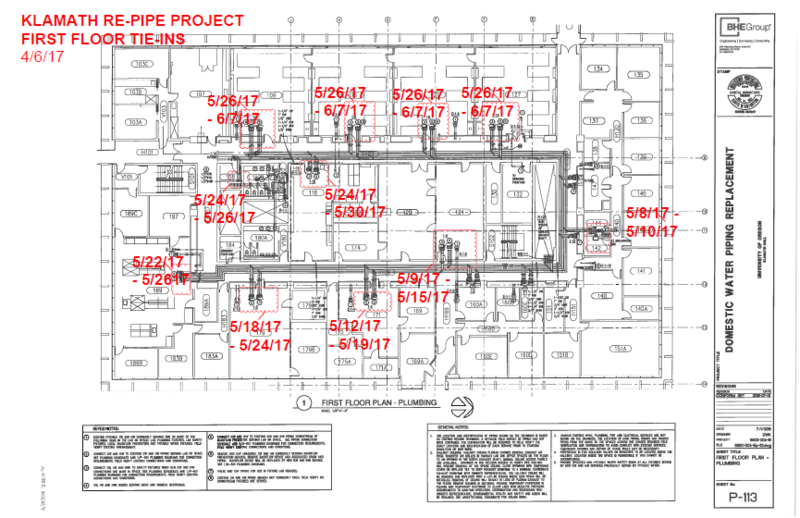 ***Please make sure you remove items from your wall/ shelves and relocate equipment from the work area indicated on the plan, prior to the start date shown. After construction work is complete, make sure you run water through your plumbing fixtures (sinks, drinking fountains, etc.) until the water runs clear (usually less than a minute). If you have concerns or questions related to construction, please contact Joe Hubbard with Anderson Construction 541-514-5794. For all other questions or concerns about how this may impact your area, contact Jana Gerow, Campus Planning and Facilities Management (CPFM) Design and Construction at 346-8317.